Yesterday, Verizon announced the acquisition of Yahoo for a reported $4.8 billion. It’s the end of a long road that saw Yahoo spiral from the top of the dot com boom, and a $100-plus billion valuation, to years of struggle in which no plan to turn the company around worked. With the purchase, Verizon adds another once great internet company to its portfolio after acquiring AOL last year for a figure in the same ballpark as the Yahoo buy. The sale not only marks Yahoo’s end as an independent company, but likely the end of it being in any real competition with Google, Facebook, Apple and the other tech giants on top of the food chain in 2016. 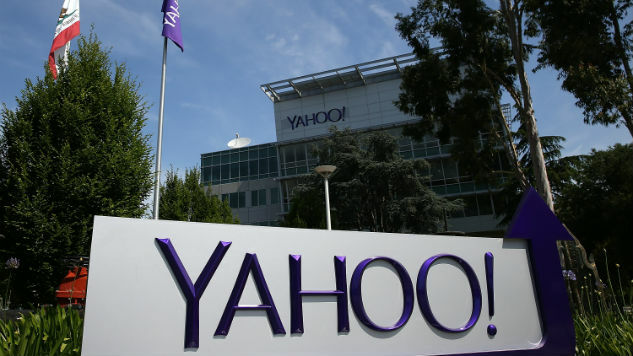 Yahoo is now a piece of Big Red, which hopes to leverage the company’s media properties and combine them with AOL brands, namely Huffington Post, Engadget and TechCrunch. Verizon really wants to be a major player in the digital advertising realm, which is dominated by Google and Facebook, and by acquiring Yahoo it has the ingredients to be a top global mobile media company, as odd as that seems. We know, via a statement from Yahoo about the deal, the company will be integrated with AOL under the Verizon umbrella, and it’s safe to expect that this acquisition will mirror last year’s. As was emphatically noted by Engadget at the time of the AOL buy, just because Verizon owns the parent company, it doesn’t mean it has control over editorial ventures. In the year since, that has appeared to ring true as AOL’s major media properties have continued to operate as normal, even reporting on topics (hello, net neutrality) that would seemingly infuriate the company at the top. Yahoo’s media brands, which include Katie Couric as “global news anchor” and the David Pogue-led Yahoo Tech, should move along the same path. But what does it mean for Flickr and, even more importantly, Tumblr? When Yahoo first bought the fast-rising social network in 2013, it was Marissa Mayer’s biggest coup in her turbulent tenure as CEO. Many feared the takeover would spell doom for Tumblr, which had endeared itself to millions of users with its quirky microblogging platform that gave space for numerous interests and the ability for users across the world to build tight-knit communities on the web. Image courtesy Bennett Raglin / Stringer via Getty Images. Yahoo, to its credit, promised to be hands off with the service, and it was for the first year. Then, in 2015, Mayer merged Tumblr’s ad team with the parent company’s which led to a host of internal strife and tension between team Tumblr and team Yahoo, all magnified by the $100 million sales goal Mayer had set for the social network, a number many said was picked at random. Employees left Tumblr by the dozen, slowing the company’s momentum at a time when it should have been capitalizing on its early success, and scaling upward. The big issue at the heart of this turmoil was how Tumblr would actually make money. According to the breakdown of Tumblr’s struggles under Yahoo done by Mashable last month, founder David Karp was initially hostile toward the idea of advertising. Thus, Tumblr took too long to get advertising on its platform and once it did it had a hard time selling the idea to marketers. The issues were compounded when Yahoo put executives in charge of Tumblr that didn’t truly understand the platform, and therefore had no idea how to entice marketers to use it. At the same time, rivals like Snapchat and Instagram were exploding, taking precious potential ad revenue. Snapchat is the big player here, having clearly captured the youthful demographic that marketers want to appeal to, and brands are eager to find ways to utilize that platform, even if they don’t fully understand it. While Tumblr’s user base is not of the same magnitude as Snapchat or Instagram, the social network is no slouch either. For diehard users, there should be no fears of the service going away, it is still an important part of Yahoo, and now an important part of Verizon, despite the fact that the company failed to mention it in the press release. The big struggle for Big Red will be figuring out how to monetize the service and, if Mashable’s article is true (and there is very little reason to believe it isn’t), Tumblr may be too far gone in that regard. Verizon needs to find a way to give the service spice again, but with Snapchat bowling over the competition, how to do that is a hard answer to find. With its focus on digital advertising and the media properties of both AOL and Yahoo, Verizon would be smart to leverage Tumblr for the same reasons. Not mentioning the company in the press release may not mean the world, but it could also be a telling fact. Perhaps Verizon, like Yahoo before it, has no idea what to do with Tumblr. At least not yet. That thought is troubling, as Yahoo’s lack of a definitive plan led to the significant troubles Tumblr experienced since 2013. For now, though, Tumblr will remain largely the same. The Verizon deal is not set to go into effect until 2017, and once it does, there will be a transitional period as both sides get used to the new hierarchy. For what it’s worth, Verizon has said that all Yahoo services and brands will operate separately, with the former acting like an investor. Tumblr shouldn’t change much, but if it continues to struggle to turn a profit, how long it’s grandparent company will hold on is a mystery. Tumblr’s singular platform is what will keep it going. There is still potential in its unique take on blogging, and if Big Red can put the right people in place, or let Tumblr choose the right people, to figure out how to monetize the platform, Tumblr could find a second life. Flickr, on the other hand is a more uncertain case. Once the leader by a wide margin in online photo sharing, the service was badly bungled by Yahoo and it’s lack of foresight in the mobile era caused Flickr to be passed by Instagram and others, and is now an oft forgotten service, albeit still with a substantial and dedicated user base. Some are not convinced Flickr will continue on with Verizon at the head of the table. The Guardian interviewed a few of Flickr’s more dedicated users over the years, many of which say they wouldn’t be surprised if Verizon shuttered the service not long after the Yahoo deal is official. It’s hard to imagine what Verizon would find useful from the service. While Flickr has been a popular home for many professional or serious hobby photographers to house and share gorgeous photos, the same kind of advertising potential doesn’t exist as it does with Tumblr. Despite boasting 112 million users, Flickr is nowhere close to being first in the pecking order, and has failed to innovate at a fast enough clip to keep pace with Snapchat and Instagram. The service’s founder, Stewart Butterfield, even told Wired in 2014 that innovation died at Flickr the minute it was acquired by Yahoo. What can Verizon do to reverse course? At this point, not much, the force of Snapchat and Instagram are too strong and the current too wild to swim against. Verizon likely wouldn’t make a decision to shutdown Flickr until a year or more after the deal goes into effect meaning, at the earliest, Flickr could see an end in 2018. I don’t think it will happen, but the scenario is not wholly out of reach. Verizon has shown to be a decent parent to AOL, but Yahoo is a whole other beast. The future is entirely uncertain at this moment. What will become of Tumblr, Flickr and the rest of Yahoo’s properties is still in the air, and will remain there for some time. We won’t know what effect the acquisition by Verizon will have until years from now. In these situations, the reaction is often bigger than the reality, and that could well be the case here, but there is no denying that we will never see Yahoo as the company it once was. We have witnessed a dramatic fall from grace the last 15-plus years, and the fallout may not be over.